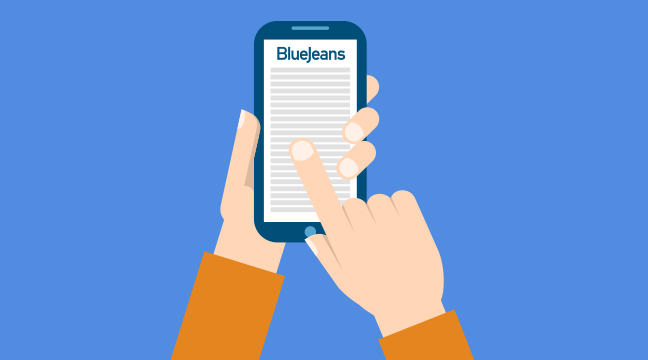 How Can BlueJeans Work For You? 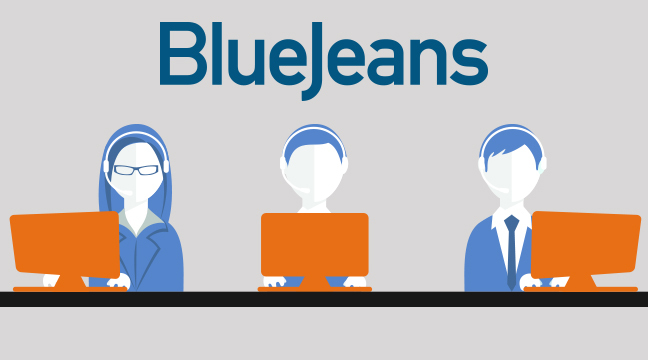 With your Blue Jeans account, you simply schedule and host meetings from the intuitive Blue Jeans web interface. From there, host and connect to your video conference with any device you want. Blue Jeans can be customer tailored for you – let us show you how. Easy to use video conferencing. Pick your device. Phone, tablet, computer, conferencing equipment – any device you want. Sign into your scheduled meeting or start one ad-hoc. Send your invites. An email with a secure URL goes out. Then it’s just a matter of conducting your meeting. Use the interface to share content, change layout, zoom and much more. It really is that simple. Interoperable, to support all your video interactions. Your meetings should be accessible from anywhere, on anything. That’s why Blue Jeans is interoperable, so smartphones, tablets, laptops, desktops, and video conferencing equipment all unite. Plus, Blue Jeans is “system agnostic” so you can use any browser and operating system you want to meet over Blue Jeans. 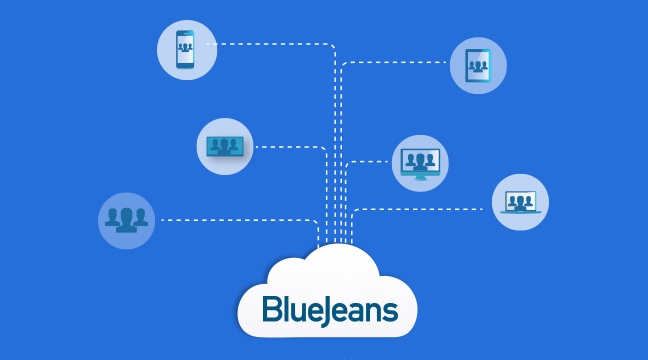 Bottom line, Blue jeans makes video conferencing accessible for everyone, no matter which devices or platforms you’re using. 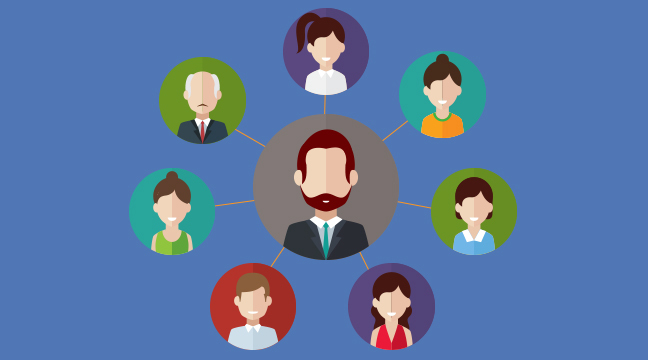 Scalable, to meet your needs to matter the meeting size. 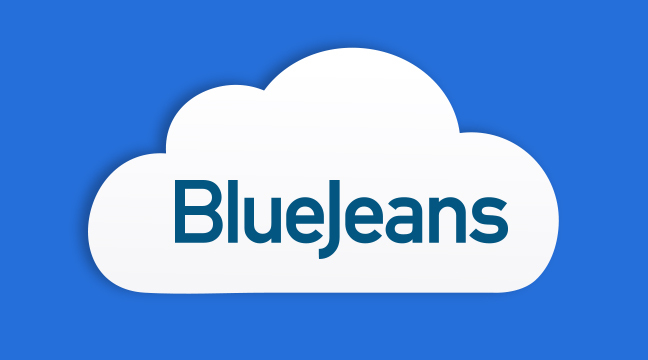 Since Blue Jeans runs completely in the cloud, there is no hardware or software for you to buy, install or manage. That means no maintenance contract required, no capital expenditure, and no IT resource burden. Host conferences that are one-on-one, or a web-conference of up to 100 people. Blue Jeans scales automatically without any slow-down or interruption in service and plans are available with unlimited usage based on your company size. Collaborative conferencing in the cloud. Blue Jeans has extended its platform to give you a bigger voice. Now you can host events like conferences and lectures using Blue Jeans Primetime. It offers a collaborative platform, allowing attendees to virtually raise their hands, be selected and then broadcast their questions live to everyone else. Unlike most event broadcasting software, there is zero delay in transmission, meaning that there are no awkward silences or miscommunications due to lag. Secure conferencing for your peace of mind. 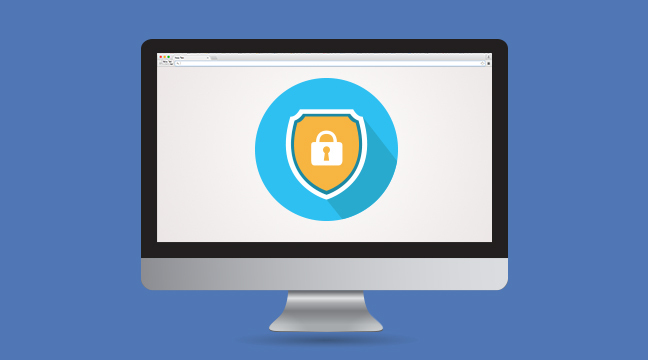 Only those with the private URL can access your meeting, guaranteeing that it’s secure. Add in default encryption on all standard video signal protocols, SSL for web sessions, and the ability to use temporary meeting IDs to hide any participant’s personal information, and there’s nothing to ever worry about security-wise with Blue Jeans. Filled with features for your convenience. With Blue Jeans you are able to share slides, spreadsheets or video in high definition up to 1080p. 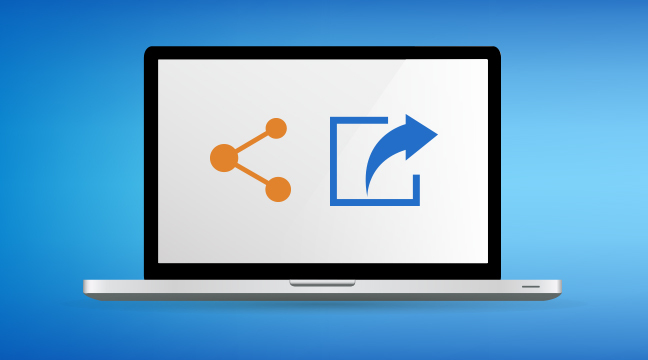 Dual-stream support ensures the quality of both the video feed and shared content. You’re even covered when the meeting’s over. With Blue Jeans, you can record and replay any business meetings held. Share it with collaborators. Store the recordings online through your Blue Jeans account. No one will ever need to miss a meeting again. Blue Jeans offers calendar integrations for Outlook, iCal, and Google calendar. Schedule and start your meetings with ease by simply clicking “Add a Blue Jeans Meeting” in your calendar and your meeting information will automatically populate into the meeting description. Customer support, every step of the way. Our customer service is on standby to help out online, by phone or mail. 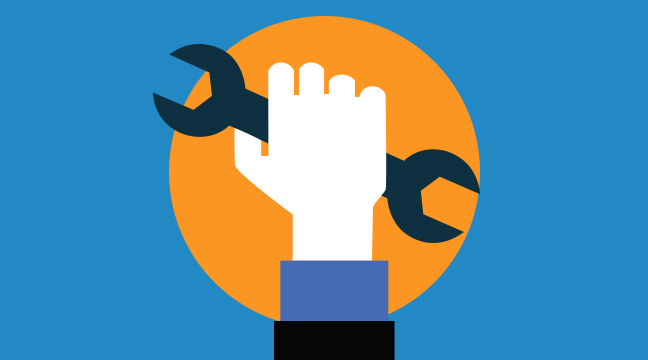 You can also upgrade to our premium plan to get 24/7 support, technical consultations and training.